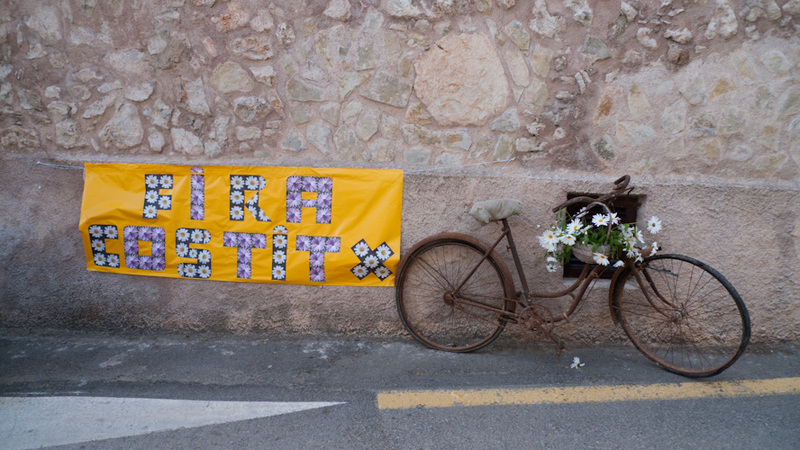 The Fira de ses Flors in Costitx is a bit of a misnomer. More appropriately, it should rather be called a fair of flowers, plants, trees, shrubs, herbs, grasses, ferns and other gardening and horticultural paraphernalia. But then, that would not roll so nicely off the tongue, would it? Anyway, the Fira was held yesterday; I went there with my wife and we thoroughly enjoyed our outing. Of all the Firas and Festes in Mallorca, there is only a handful or so that we really enjoy, and this one is one of them. Not everybody may agree with our choice but not everyone is into flowers and plants and trees and green fingers the way we are. Suum cuique. The Fira de ses Flors is actually a bit of a peculiarity here in Mallorca. This one is not one of the traditional fairs or markets that has been going for hundreds or at least, dozens of years. This fair was devised with a political motivation. It was conceived by none other than Maria Antònia Munar i Riutort, longstanding Batlessa (mayoress) of Costitx from 1983 to 2007 but probably better known as the erstwhile President of nearly every political office Mallorca has to offer. Her ambition was to put her pueblo on the political map. She achieved that daunting task by instigating the Observatorio Astronómico de Mallorca in Costitx which was inaugurated in May 1991, and by initiating the Fira de ses Flors. The talented lady was once Mallorca’s most popular and certainly most powerful female before she was seen as the most hated mayoress or indeed, politician amongst her compatriots. She is currently accused of a whole array of political misconduct and will stand in court any time soon, wanting to prove her innocence. The photo was taken in Costitx, Mallorca, Baleares, Spain. The date: May 1st, 2012. The time was 13:43:19. That sounds just like the sort of fira we would like to go to too. Is it on 1st May every year? yes, sylvia, may 1st every year.